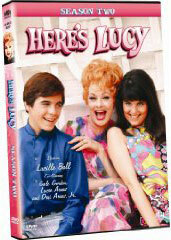 The second season of the 1968-1974 Lucille Ball sitcom “Here’s Lucy” has a great deal going for it; it provides a chance to see classic Lucy comedy that was not syndicated heavily and also seemed to solidify the status of series star, and Lucy’s real-life son, Desi Arnaz, Jr. as a television star and teen idol. The season started with a four-episode story arc about a road trip to the Air Force Academy in Colorado, an Indian reservation, and a river in Arizona. I did not get a chance to watch any of the numerous extras, but one entitled “Here’s Lucy: On Location” was likely about filming these well-produced episodes. The Lucy style hi-jinks in the road trip episodes included mistaking the head of the academy for a janitor, inadvertently marrying an Indian chief, and setting a river raft shooting down the rapids. The show then settled into its routine formula of Ball and her teen-age children, who were played by Arnaz and Lucy’s daughter Lucie Arnaz, having all sorts of wacky adventures and bringing chaos to the lives of celebrities. The late ‘60s vibe to the season included references to student demonstrations, skits about the generation gap, and “The Tonight Show” still being based in New York. 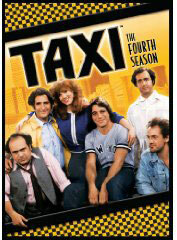 The fact that the plots and lines were largely predictable does not take away anything from the show. The Arnaz clan all had great charm and performed very well together. It was also nice to see a family sitcom in which the offspring were the type of kids that you would like to have live in your neighborhood and were funny without being outrageous. Ball was clearly the star and continued her formula of concocting wacky plans to extract herself from trouble that she had created or wearing bizarre disguises to spy on her kids, who largely played the same straight role that their father had on “I Love Lucy.” However, she wisely shared the spotlight with Desi Jr., who was charming and adorable without being dorky. Like his father, Desi often performed musical numbers, whether he was jamming with the celebrity guest of the week, appearing in the latest high-school musical, practicing his electric guitar, or imitating Frank Sinatra. Desi Jr. also had some of the best lines of the season and got to insult his mother for being a lousy secretary to her brother-in-law, played by Lucy regular Gale Gordon, or for creating mayhem without being offensive. There were times that it seemed that he would start yelling in Spanish or telling Ball that she had some ‘splainin to do ala his father. One of the best episodes of the season involved the kids sneaking an English sheepdog into the house and hilarity ensuing when she gave birth to a large litter. The cast trying to find homes for the adorable balls of fur included several classic sitcom moments, including Desi Jr. conning his buddy into taking one. One of the nicest moments came in an episode in which Ball and the kids performed with Patty Andrews of the 1930s and 1940s singing group The Andrews Sisters. Lucie had decided to decorate her room with posters of stars from that era, and Ball held up a poster of herself from that era in which she was a fairly glamorous movie queen. Ball did not say anything, but the smile on her face showed that she had fond memories of that period in her life. I would love others with great memories of Ball or the kids to e-mail me at tvdvdguy@gmail.com. The legendary queen of television comedy, LUCILLE BALL, is joined by her real-life children in her third long-running sitcom success. Ball plays Lucille Carter, widowed mother of teenagers Kim and Craig, portrayed by Lucie Arnaz and Desi Arnaz, Jr. Lucy works for her brother-in-law, played by Gale Gordon, who owns Carter's Unique Employment Agency, leading Lucy into endless predicaments and hilarious hijinks. This complete second season of HERE'S LUCY (1968-74, CBS-TV) features all 24 color episodes, digitally remastered for superior quality plus a wealth of new and never-before-seen bonus features.